If you envision the State of New York, the views of the Statue of Liberty and the Empire State Building come to mind almost instantaneously. Though these iconic landmarks are indeed the top attractions in the State according to any New York travel guide, there are a lot more to explore in the Empire State. The climate and geography of the state are as diverse as its attractions. Ranging from world famous Niagara Falls to limitless recreational activities by Catskill Mountains, to scarcely populated but largely enjoyed by outdoorsmen Adirondacks area with its superbly beautiful Lake Placid region widely known for Winter Olympics training facilities. New York State is also home to widely known by hiking enthusiasts Harriman Park boasting 46000 acreage and over 30 lakes setting the stage for various recreational activities. Almost all New York travel guides start their description of the state by presenting the greatest city on its territory NYC. New York City is a glorious travel destination located on the Eastern coast of the US overlooking the Atlantic Ocean. True New Yorkers divide the state into New York City and the Upstate New York or everything else beyond the borders of the large metropolitan area of the city. To say that the Big Apple has a lot of attractions is to say nothing. Indeed, the city is boasting a zillion if not more iconic sights, itineraries and things to do. The biggest challenge of New York travel guides is deciding how to effectively plan a getaway to include a maximum of sights to see. To the rescue comes NYC pass that enables you to see 6 major landmarks for a discounted price. The top attraction that no visitor misses is hands down the Statue of Liberty proudly standing on the Liberty Island. To reach it you can take a ferry boat or book a cruise to see the landmark from a different angle. Empire State Building is another attraction that you simply can not miss – all New York travel guides agree that buying an express pass is a worthy investment allowing you to skip the lines and see all the spectacular NY cityscapes from the birds eye view. Uptown Manhattan opens gorgeous and spacious Central Park, one of the traditional family places to visit in NYC. Central Park Zoo, Metropolitan Museum of Art, the Great Lawn and Strawberry Field are just a short listing of places to visit while at the Central Park. Did you know that an admission price at the Metropolitan Museum of Art is not mandatory but rather optional so you can see it for free? Besides great museums and art galleries NYC is the place to see highly acclaimed Broadway musical productions like Phantom of the Opera, Mamma Mia and Chicago. No matter how diligent you are to include the most of NYC attractions in your New York vacation packages, the list is so extensive that you will need to take several vacations to just see some of them. Long Island is a beautiful suburbia area located just outside of the NYC that is known for its gorgeous beaches and recreational activities in the summer and fall. It’s an ideal place to host a family reunion or plan a family vacation. Though it’s rarely included in New York vacation packages and overlooked by tourists picking the Big Apple as their primary destination, this gorgeous area is blessed by splendid landscapes, wineries and hedonistic pleasures. The island is rather big stretching for almost 120 miles, so plan accordingly since traffic jams are very common in this area, especially in the summer. This area of NY State is especially loved by water sports enthusiasts and could be enjoyed at the South Shore Beaches. Besides its beaches, LI offers a large number of museums like Sagamore Hill, the summer getaway of former president Theodore Roosevelt, the Village of Roslyn, Atlantis Marine World Aquarium and many others. Buffalo located within an hour drive from the famous Niagara Falls has been always overlooked by travelers heading to other popular New York destinations. However, the city has its fair share of attractions including top notch restaurants, great museums and General Mills production facilities. Many New York travel guides recommend you visit the following museums in the second largest city in the state such as Museum of Science, Ira G. Ross Niagara Aerospace Museum, Albright-Knox Art Gallery and many others. The downtown area contains a number of historical districts boasting excellent architecture including houses of important historical figures. The designers of the NYC Central Park worked hard here as well creating gorgeous local parks like Olmsted, Delaware and South Parks. The city hosts a large number of events throughout the year. In addition, the local Theater District is packed with lovely performing art establishments worth seeing. On the shores of Lake Ontario lies the third largest city in The Empire State. Referred by the locals as the Flower City or Kodak Town, Rochester is a great place to include in your New York vacation package. It’s famed by its gorgeous Genesee River and its 3 waterfalls and is one of the most popular destinations for family travel. Genesee Valley Park and Highland Park are two fine examples of city’s horticultural creations. Seabreeze Amusement Park, Strong National Museum of Play are just a short list of must see attractions in the city. From here you can book countless tours to the Finger Lakes region, an East Coast oasis of wine making industry in the US. Eleven gorgeous lakes present excellent opportunities for swimming, boating and fishing. 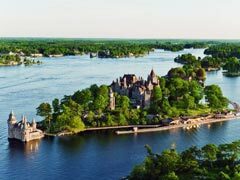 On the border of Canada and US one will find breathtaking Thousand Islands, an area popular among summer tourists opening scenic landscapes and vistas. On the US side on the Heart Island proudly stands the Boldt Castle devoted by a loving husband to his wife. Tons of isolated isles and spots create a perfect setting for a romantic getaway for lovers of fishing, boating and outdoorsmen. Start planning your New York vacation package to include destinations off the beaten path that you have never visited before. 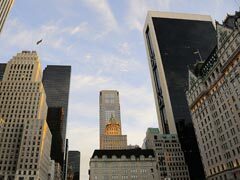 Check out other articles of our New York travel guide to help you plan your trip better.